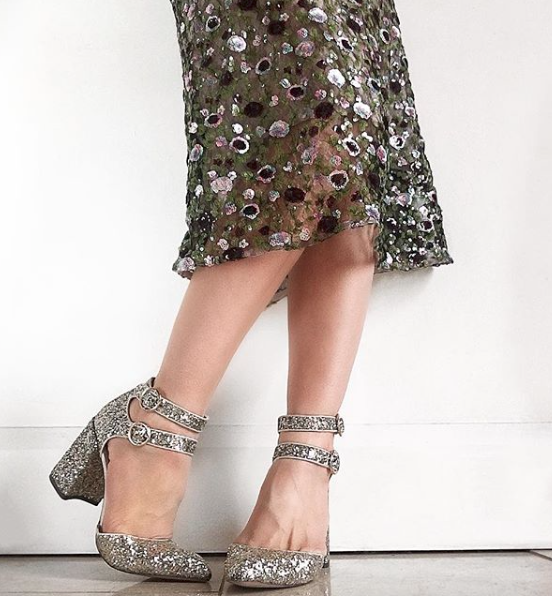 I first came across Sara’s instagram account and blog ‘Wellies and Champagne‘ in 2017 and immediatly feel in love with her uncomplicated sense of style. For those of you that already follow Sara you will understand when I say that she is effortlessly stylish, from the clothes she wears, to her instagram photos and flat lays it all looks beautiful, well put together and elegant. 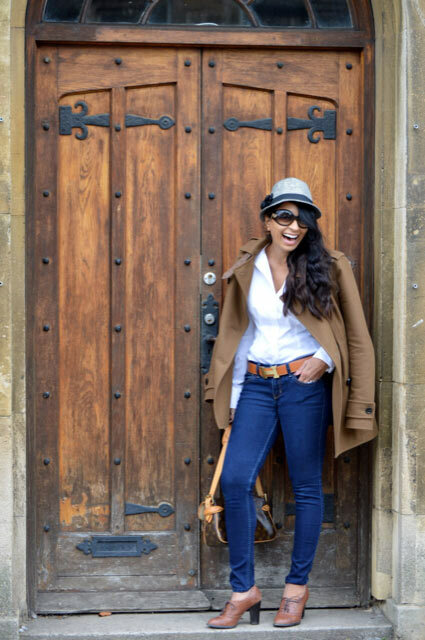 Sara makes looking stylish seem so straightforward, easy and achievable. 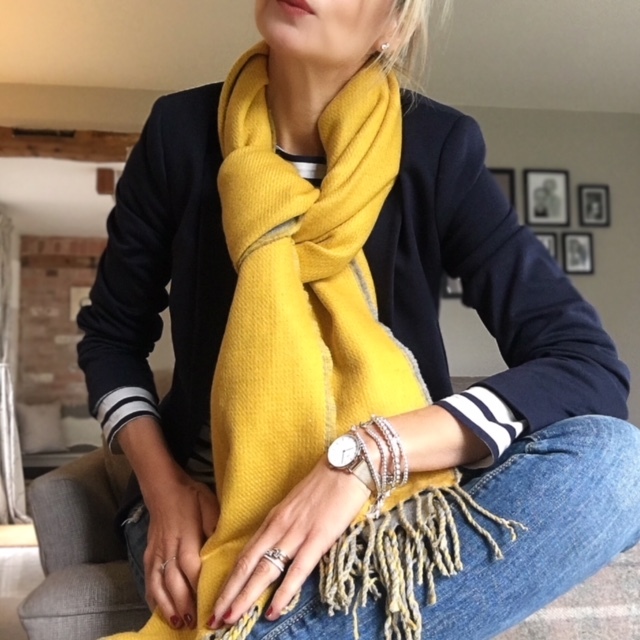 Sara shares her style picks daily on her instagram account ‘Wellies and Champagne‘ , what she is wearing and her key buys. 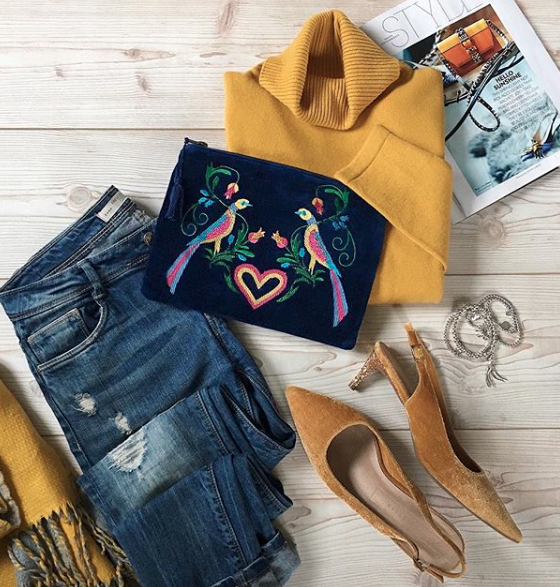 Not only is she inspiring but as an ex fashion buyer she knows how to spot a good ‘classic’ item of clothing that you will wear beyond the trend or season. If you don’t follow her you really should and if you do well you will know what I mean. I am very excited to have been able to interview Sara for my blog. 1: Tell us a little about yourself? I live in Derbyshire with my husband, our two children and our dog. We moved away from city life eight years ago and eased ourselves into the country way of life, which we haven’t regretted for a moment. Surrounded by the most beautiful countryside my wellies are most definitely needed on a regular basis (hence the Wellies in Wellies & Champagne). There’s still room for plenty of sparkle and style though! After qualifying from university with a degree in textile design, I worked as a buyer for a major high street retailer for ten years prior to becoming a full time Mum. Giving up my career was a hard decision to make but the right one – I wouldn’t change it for anything. 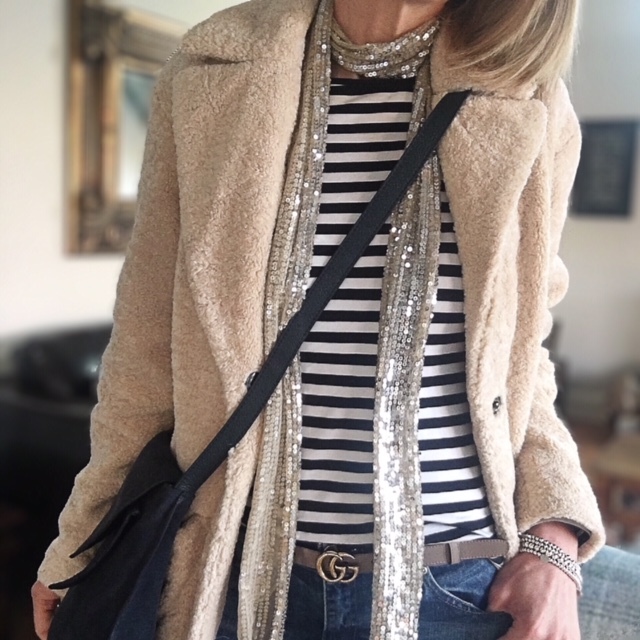 Now that my children are that bit older I find that I have more time to get back into fashion via my fashion and style blog. 2: What made you decide to start blogging? 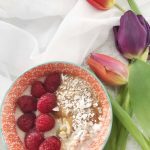 I started the Wellies and Champagne blog in October 2016 as an extension to my Instagram feed. I had begun to receive lots of positive comments on my fashion related posts and thought that a blog would give me an additional platform to describe how and where to find perfect items of clothing to create a stylish and wearable wardrobe. A blog gave me more scope to describe how to replicate my style ideas by using a combination of my own photos and examples of key pieces on the internet, accompanied by my thoughts on a particular look. Being able to ‘shop my Instagram’ has been a great feature to allow viewers to rapidly link to the websites selling my favourite pieces. This completely fits with the increasing trend of fashion shopping online. Ultimately, if I can provide a little bit of inspiration or advice that helps others feel stylish then I count that as success. 3: What you miss/don’t miss about being a fashion buyer? The thing that I really miss about being a buyer was being involved in the heart of the fashion industry – your work ultimately influenced what people were wearing out there on the high street. I also miss seeing the range that you and your team had developed laid out in the shops and selling well. As a buyer, you are working one season in advance, so this meant you had to spot emerging trends early and incorporate key ideas into your range. It was great to know upcoming fashions so far in advance of everyone else! Stress comes with the requirement of working under pressure to hard deadlines, and you are judged on your performance. You are only as good as your last range! At the same time, these aspects also made the job exciting. 4: How would you describe your signature look? My signature look holds true to my style principles – classic rather than simply following every new trend. Versatility comes from having a few key pieces in your wardrobe – Breton stripes, pairs of jeans that fit you really well, a fitted navy blazer and some statement pieces that can easily transform an outfit. I’m a big fan of accessories, whether this is shoes (especially leopard print or sparkly ones), your bag or earrings; these things can make or break an outfit and so often people overlook this crucial part of putting together the perfect outfit. 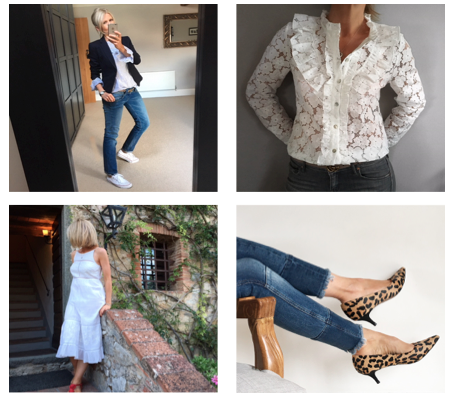 When it comes to the summer I love nothing more than a white dress or white frilly blouse … over the years I’ve gained quite a collection but each one is different in its own special way! 5: Where do you get your style inspiration from? I love clothes and fashion, and I love creating outfits by playing around with the existing things in my wardrobe and adding in the odd new piece, then mixing it up with some statement accessories. This means a lot of my inspiration comes purely from what is already in my wardrobe. Pinterest is great for gathering new ideas and I also get a lot of inspiration from magazines. Red Magazine is definitely my favourite read. 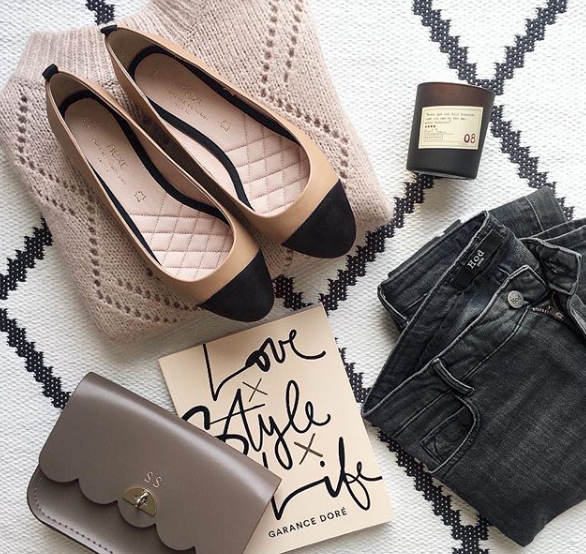 You also can’t ignore Instagram, giving you the most up to date and ‘real-life’ inspiration. 6: What do you like about Instragram? When I started my Instagram feed, I had been following other fashion and style accounts that motivated me to go out there and start my own. My focus for each post is not about me, but about the outfits I wear. The outfits are those that I wear day to day, using affordable high street fashions mixed with key statement items from my wardrobe. You don’t have to continually buy new items to look stylish – my aim is to show how to mix and match items when putting together an outfit. 7: What lessons have you learnt along the way? And do you have any advice on IG and blogging? I’ve always believed that it is important to stick to your principles. Don’t forget the reason that you started your IG feed or blog – whatever that reason is! For me, that means keeping the remit focussed on how to take fashion ideas and make them stylish and wearable. The main lesson that I’ve learnt from IG is about engagement – I often have followers asking questions or seeking advice on outfits or looks that I’ve posted and I try to respond to all of these individually. I have some favourite IG feeds that I turn to for inspiration. A favourite is The @thefrugality where Alex Stedman’s style is effortless and so wearable. I also love the fact that her looks are affordable and accessible. 8: Who would you say is your all-time favourite Style icon? Olivia Palermo. Her style speaks for itself. Thank you gorgeous Sara for allowing me to interview you. 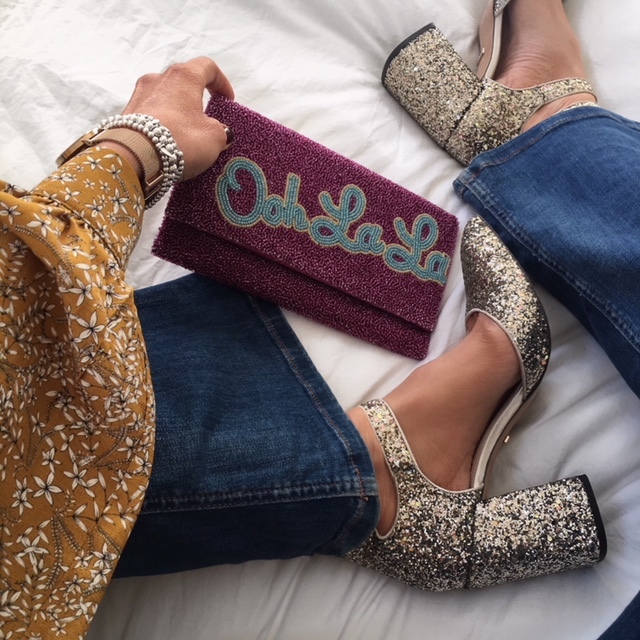 From sparkly heels to beautiful leopard print ballet pumps, breton stripes to cosy, but beautiful jumpers, Sara has an eye for the best out there. 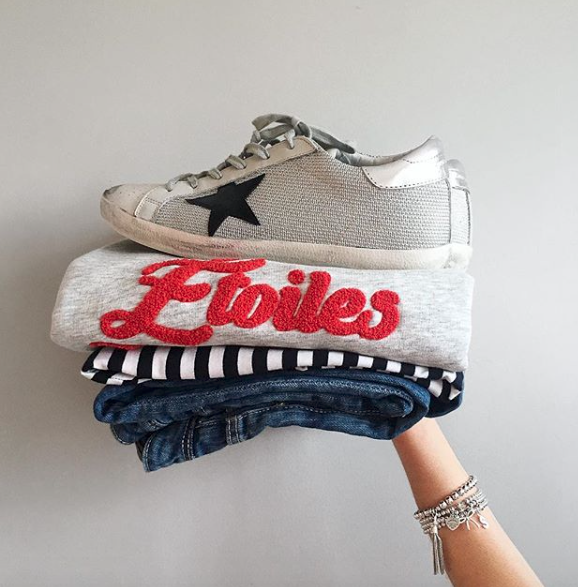 Sara’s classic sense of style means that her approach to clothing and her picks on her blog will leave you buying pieces that you will wear for a good length of time and turn to time after time. Her style is affordable, classic and effortless. 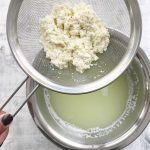 I love everything about Sara’s feed and blog and even more now that I have had a chance to interview her and get to know her better. If you don’t follow her you really should, I promise you you will not be disappointed. As always any comments and feedback would be much appreciated.